B2CAC asked the Answer Line forum why his laptop couldn't connect wirelessly to his router. A big part of the challenge is figuring out where the problem lies. Although I can't promise a solution to B2CAC's particular problem (or anyone else's), I can suggest some simple tests that will help you isolate the cause. Once isolated, it will be easier to fix. Move around the house. You may simply be trying in a room with a bad signal. 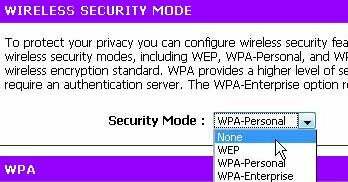 Try accessing the network or the Internet from a room closer to the router. If this solves the problem, but you really need access when in the room where you couldn't get WiFi, consider buying a HomePlug device. repair (Vista) or Repair (XP). The icons on the left are approximations of the ones in the system tray--the ones on your PC may differ due to network status (for instance, they may have a tiny, red x). Keep your fingers crossed while Windows tries to find and correct the problem. Turn off WiFi Security. Bad passwords and incompatible encryption standards cause a lot of WiFi problems, and temporarily turning off encryption will tell you if they're causing yours. I can't tell you exactly how to do this; check your router's manual for directions. You obviously don't want to keep your network unprotected for long, so you'll have to figure out what the problem is so you can turn encryption back on again. Make sure you're using the correct password and that your PC and router support the same encryption protocol. Try another WiFi enabled device. This could be another computer, a smartphone like the iPhone, or an iTouch. If you don't have anything like that handy, invite someone over who does. Luckily, most WiFi-enabled devices are portable. If that device can access the Internet, the problem is with your computer. If it can't, the problem is with your router, modem, or ISP. Try the laptop elsewhere. Take it to a café or library that offers WiFi and see what you can do. If you can access the Internet from there, the problem isn't with your PC. Hopefully, after all of these tests, you'll be able to find the problem and fix it. And if not, you'll at least know which company to call for technical support.